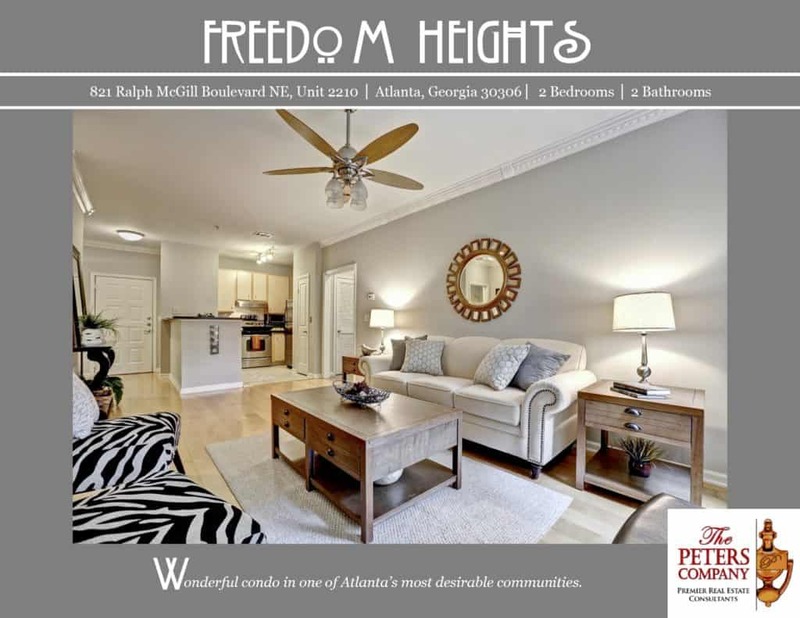 Just Listed :: Awesome Condo in Freedom Heights! Welcome Home! Located in one of Atlanta’s hottest areas, this condo is just what you’ve been looking for. The custom features and charming character of this property will never go out of style. The close proximity to Freedom Parkway, I-85, and I-75 makes it convenient to and from any direction. Did we also mention that you are only minutes from all your favorite hot spots including the Beltline, Virginia Highland, Inman Park, Little Five Points, Ponce City Market, and Freedom Park? · Kitchen features ample cabinet space, stainless steel appliances, granite countertops, and a pantry. · Spacious living room boasts neutral colors and plenty of natural light. · Gleaming hardwood floors and crown molding throughout the main living space. · Master suite is a true retreat including a large walk-in closet and spa-like master bathroom. · The master bathroom features a double vanity with stone countertop and a large garden tub perfect for relaxing. · Additional bedroom is well sized and bright. · Wonderful community amenities include secure access, a well-maintained pool, and gym facilities. · Convenient location close to many well-loved restaurants and shopping spots. Call The Peters Company today to see this wonderful condo at 821 Ralph McGill Blvd. NE #2210… 404-419-3619! ← Why do stucco homes get a bad rap?